Often times users want to only monitor part of a webpage in an effort to only receive notifications when the part of the page changes that matters to them. An easy / simple example of this would be if you wanted to track the pricing of your competitors' products on their (or a 3rd party e-commerce) website. 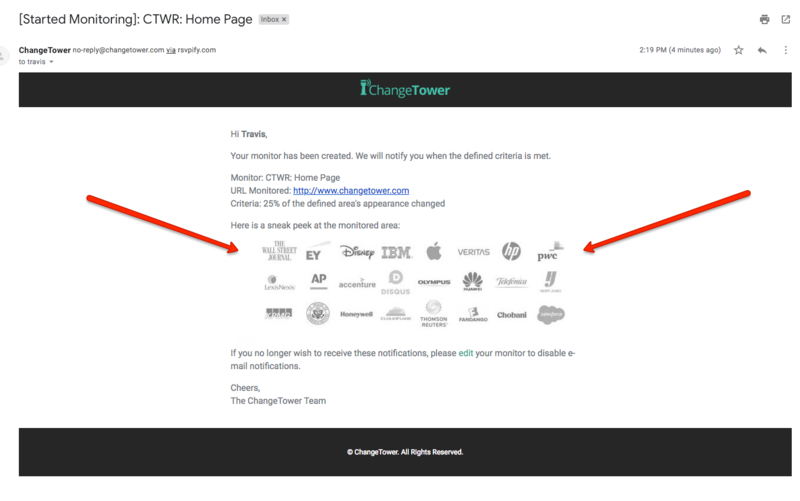 ChangeTower's product team released its Visual Monitoring feature to enable our handle this precise use case. This monitor will enable you to receive notifications if / when a certain % threshold of a monitored area on a page were to chain.